For anyone interested in living a low waste lifestyle it makes sense to consider how our beloved pets will affect that choice. You do not need to live a pet-less life to maintain a low waste lifestyle nor do you have to sacrifice your pets needs. Like any other area of your life, it takes a bit of consideration and decision-making to ensure the best choices are being made, from the pet you choose to the food you feed it. Growing up, I was always surrounded by animal companions. I had countless pets including hamsters, rats, gerbils, rabbits, guinea pigs, cats, and an aviary full of birds. I couldn’t imagine a life without them - even if that means creating a little more waste. Now I’m older I can balance the rewards of having a pet with making better choices about how I care for them. If you’re curious about how to maintain a low waste lifestyle by reducing the waste your pet causes, read on. The type of pet you choose to live with greatly affects how much extra waste it brings into your home. Some pets, like dogs and cats, cause large amounts of unavoidable waste; their food is problematic and often comes in small packages, their waste cannot be composted, and then there’s all the toys, bedding, and accessories. 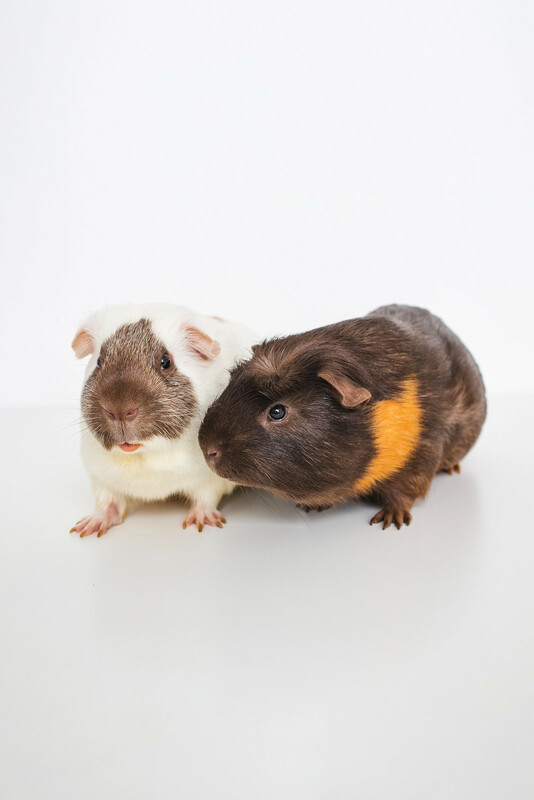 Rabbits, guinea pigs, and rats all make good low waste companions. Everything they need can be purchased in bulk, toys can be made from scrap materials, there are plenty of sustainable options for bedding, and all their waste can be composted. 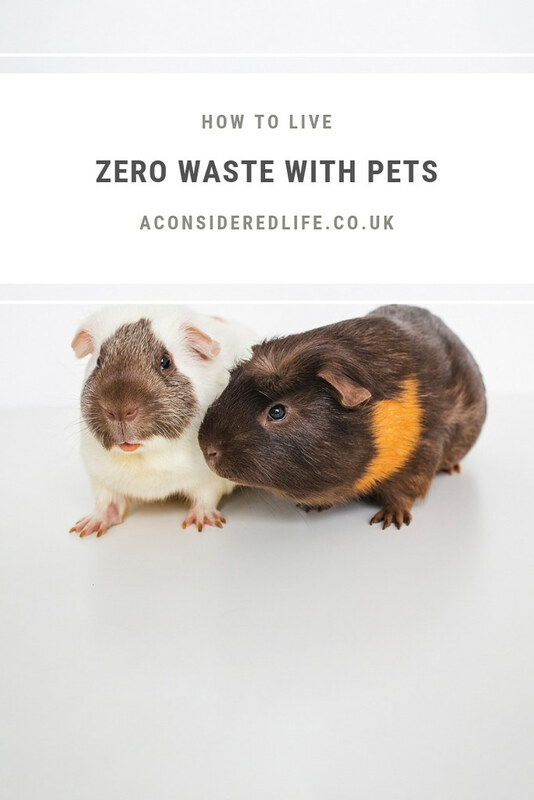 If you’re desperate to have a cat or a dog (or you already have one as a pet), you’ll just have to accept there’s only so much you can do to reduce the extra waste they cause. Personally I think that’s an acceptable trade-off for the joy these companions bring to our lives. Wherever possible, look for packaging-free options and buy pet food in bulk. See if any local pet shops or markets have bulk pet food bins where you can fill up your own containers. Alternatively, buy the largest bag or box you can afford and have space to store so that you can reduce packaging waste - this goes for any pet you have. Wet dog and cat food can be purchased fresh sans packaging or in tins that can be easily recycled; dry food can be purchased in bulk at pet stores. Avoid purchasing individually portioned pouches of pet food, they are unnecessarily wasteful. You could also purchase raw minced offal from a butcher, considered mostly a waste product to humans but fit for consumption. Unfortunately, the meat industry is hugely wasteful (not to mention cruel and inhumane for both humans and animals alike) and pet food plays an unavoidable role in that. Rodents and rabbits need fresh veggies daily. If you feed your pets the scraps that would otherwise be destined for the bin you’ll be reducing your food waste. This is a fantastic option if you’re unable to compost. 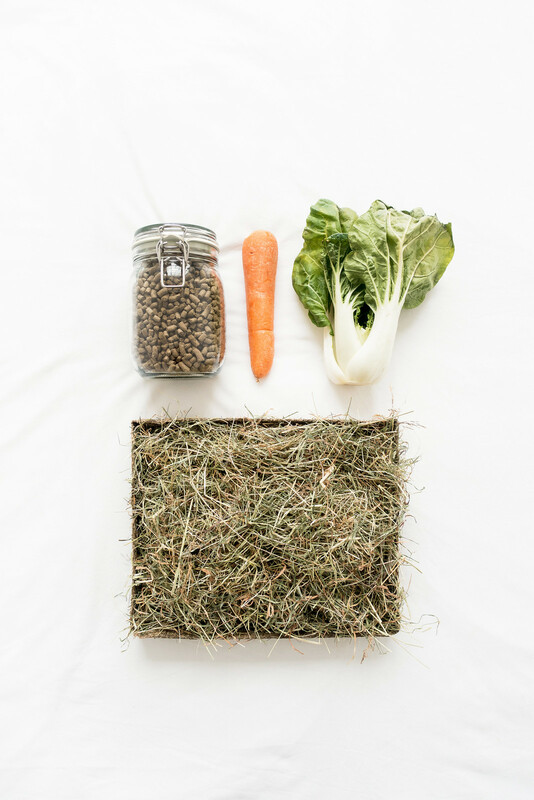 Hay and dry food can often be purchased packaging-free and in bulk from pet stores and markets or in recyclable packages. If you’re unable to find a plastic-free option, buy the largest bag you can buy and store to limit packaging waste. Treats, whether for a dog or small rodent, can be handmade, sidestepping packaging altogether. Try these homemade dog treats and homemade cat treats; rodents can be fed little pieces of fruit and veggies high in sugar/fat as treats - no baking necessary! When it comes to toys, DIY as much as you can. Catnip can be grown at home and stuffed into old socks or sewn into scrap fabric to make catnip toys. Scrap materials can be used to make all kinds of toys that cats love to play with. Rodents and rabbits love things they can play in and gnaw; toilet roll tubes, scrunched up newspaper, and boxes are just as good as store-bought toys (and usually much better received!) Dogs might need more robust toys so look for eco-friendly non-plastic alternatives made from biodegradable materials like jute, or make your own rope toy from old t-shirts and scrap fabric. If you do want to treat your pets to special toys, look at second-hand options before buying new and avoid buying anything that comes heavily packaged or wrapped in plastic. Cages sold in pet shops are often far too small for the pet they are intended to house, this is especially true for guinea pig and rabbit cages. These cages are not only cramped but mostly made from plastic. Buy or build a C&C cage instead, a modular cage made from wire squares, which is more spacious and comfortable for your pet. Two guinea pigs require a minimum of 6ft of living space; rabbits require 12 sq. ft of living space plus 32 sq. ft of exercise space. For smaller rodents, sawdust is typically used to catch droppings and waste, all of this can be swept into the compost bin. If you struggle to find plastic-free sawdust, or you have larger pets like rabbits and guinea pigs, vet fleece or fleece on top of a layer of newspaper, towels, or washable puppy pads, is a more low waste alternative. Vet fleece has expensive up front costs but long term it's cheaper than buying small packages of bedding. The fleece can be swept clear, the waste being composted while the bedding is washed in the washing machine. No need for plastic-wrapped bedding! When it comes to cats and dogs, buy what you need (ideally second-hand or repurposed from your own home) and make sure you take care of it so it lasts a long time. Dog and cat beds and bedding should be regularly cleaned and repaired to prolong its life. There’s very little you can do about the waste dog and cat litter causes but you can make more eco-friendly choices about the type you use. When it comes to cleaning up after your dog, switch to biodegradable ones. Better yet, avoid purchasing dog litter bags altogether by using plastic bags you’ve already got or newspaper to pick up after your dog. You can also set-up your own dog waste worm farm. Some rodents can be toilet trained, which makes cleaning up after them a little easier. Either way, all the waste rodents and rabbits produce can be composted. Sweep out their cage and empty it all into your home compost bin. Living in rented accomodation? This is how you can compost in an apartment. For anything else you might need to look after your pet such as brushes, leads, scoops, bowls, and carry-cases, buy plastic-free wherever possible. If it’s not possible, look for second-hand options. Keep these items in good condition by looking after them; clean and repair regularly to make sure they stay in good condition. When it comes to washing your pets, a gentle shampoo - like pure-castile liquid soap - will be suitable for most animals. How to do tackle the waste they cause?